Named here as Debbie Jones, photog. Dorothy Gunn, but that name doesn't mean anything to me. I think not the Debbie Jones that's an aka for Victoria Winter. Well just D'OH! Shoulda looked there first, but based on past experience I didn't think it likely they'd have this issue. Certainly not the aka for Victoria Winter - at least a decade too early, plus not even the slightest hint of resemblance. I'm struggling a bit to solve this only with the name at wonderclub. I can't see the name at the cover nor do we have a TOC. I found a credit for Debbie Jones in True Men Stories April 195? At the cover of Sir! 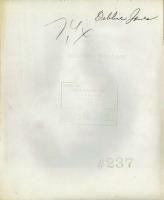 March 1962, description says 4 pages inside. At the cover of Vue March 1959. Last edited by deezer; 04-05-2018 at 08:25 PM.. Reason: . There is no name on the cover and the TOC - which I now have but my image host is down - offers no clue. I infer that the cover model does have a photo set in this issue which includes an ID but cannot yet confirm as much. Net finds, looking for "Debbie Jones photographed by Dorothy Gunn", some pics have (useful?) notes on the back. I hope can help to identify that model. I would say that she is the same as in True Men Stories, Vue and Sir!. And I would say she is the Mystery as well. But I'll leave it open for Pepper II for a final decision. Edit: Solved now. Maybe a PMT? My notes say there is a Debbie Jones in Ace 1958-08, Ace 1965-03, The Dude 1959-05, Caper 1959-03, Rascal 1974-04, SIR! 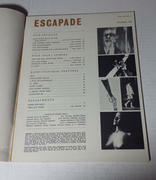 1966-11 and 1974-01 - but I have no idea whether any of the above is the Escapade model. Last edited by magnut; 04-06-2018 at 05:28 AM..
Dorothy Gunn - Dorothy Gunn is a bit of a mystery. She seemed to have appeared on the national glamour scene for about 6 years (1957-1962) and then vanished from sight. 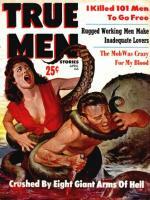 She sold pictorials to Caper and Escapade magazines, as well as to Scamp, and also shot covers for those magazines. Two of her popular models (of whom she sold photos to both Caper and Escapade) were Carol Hill, a 23 year old Las Vegas showgirl, and Debbie Jones, 22, also a Vegas showgirl.